When it comes to customer service, few hotel and resort companies can compare to Capella Hotel Group, which currently provides nine ultra-luxury hotel, resort, and residential properties through two distinct brands: Capella Hotels and Resorts and Solis Hotels and Resorts. The company is in the midst of a rapid expansion, with almost a dozen properties under development and a third brand on the way, but it is staying true to its core philosophy that positions each guest as the center of the universe. Each facility upholds a legacy of crafted luxury design combined with the highest level of personalized service to create experiences that are both unique and memorable for each guest. The company’s intense focus on customer service reflects the views and vision of its founder, Horst Schulze, who created Capella Hotel Group in 2002 and served as its chairman and CEO until his retirement in 2017. He still serves today as chairman emeritus of the company. Schulze had already built a glittering legacy in the hotel business as the cofounder of the Ritz-Carlton, where he honed his ideas around delivering “truly caring” customer service. Schulze started his hospitality career at just 14 years of age. He climbed the ladder, from busboy to corporate vice president, at Hyatt Hotels prior to helping found the Ritz-Carlton in 1983. During his 19-year tenure at the Ritz-Carlton, he saw the organization develop more than 50 luxury hotels in 11 countries. More recently, he authored the book Excellence Wins: A No-Nonsense Guide to Becoming the Best in a World of Compromise, which will be available this month. The book explores how having a “people over profits” mentality is essential to successful customer service across industries. Associate Editor Sam Del Rowe spoke with Schulze to find out more about his secret for consistently delivering excellent customer service. 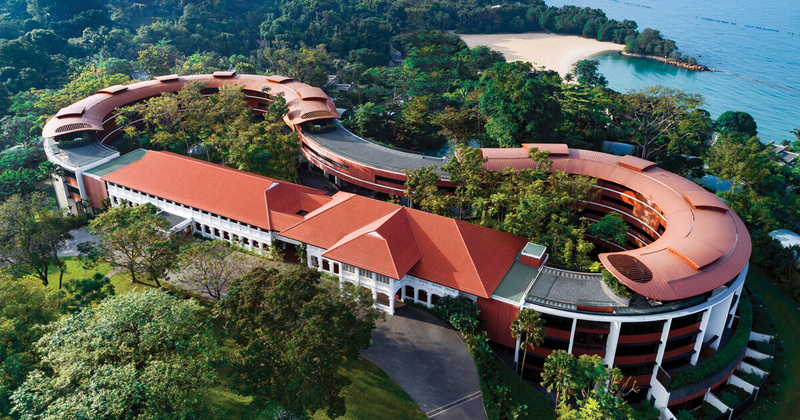 CRM magazine: How did you come to found the Capella Hotel Group? Schulze: After 19 years, the Ritz-Carlton had become the leading global hotel brand. I was traveling 250 days a year. In my opinion, the painting was painted. It was time to retire. I retired on a Friday—and on that Monday, I informed my wife that I would do it one more time, this time in ultra-luxury. But I promised only a very few hotels, which would limit my need to travel. I realized that my fun in life was running hotels, not golfing. The luxury for Capella Hotels is exceptional facilities where service is decided by the guest—personalized and individualized. We do everything the guest wishes, so long as it is ethical, legal, and moral. I believe that as Capella grows, it will become synonymous with excellence. How is service “decided by the guest” at Capella Hotels? Luxury today means doing it my way. That means responding to the individual or the expectations of the market segment. For example, the luxury traveler does not want check-in times and check-out times, so these times do not exist at Capella Hotels. Individually, we attempt to contact each guest before his arrival to find out his specific needs, allergies, dietary restrictions, preferences, etc. Can you talk about your career prior to cofounding the Ritz-Carlton? How did you get your start? I started my hotel/restaurant career as an apprentice (busboy) in a fine spa hotel in Germany. I was 14 years old. I worked in all areas of the hotel for three and a half years. Following that, I worked as a cook and waiter in Switzerland, Paris, London, and for Holland America Lines. I came to the United States in 1964, working as a room service waiter at the Hilton San Francisco. In 1982, I was offered to join a new company created in Atlanta as vice president of operations. The company had two hotels under construction. I joined in September of 1983. We purchased the Ritz-Carlton in Boston, which gave us the name. The Ritz-Carlton Boston was closed for renovations. In January 1984 we opened our first operation—the Ritz-Carlton Buckhead, in Atlanta.